The African National Congress (ANC) has always depicted its liberation struggle as a just war, fought by just means. But in fact the ANC’s struggle – in its last decade from 1984 to 1994 – took the form of a ruthless people’s war that was primarily aimed at giving the ANC hegemony over the new South Africa, rather than at liberation. This was especially the case from 1990 onwards, when the door to democracy had already been thrown open and there was no need to batter it down. ​People’s war does not depend for its success on the clash of competing armies, which helps explain why it mattered little that the ANC’s armed wing, Umkhonto we Sizwe, had no capacity to defeat the South African army. It rests in part on bomb attacks, including the car bomb in Pretoria in May 1983, which killed 19 people and injured some 220, but such attacks are a relatively small element in the overall strategy. 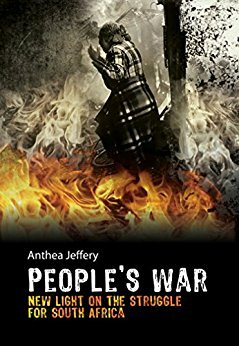 People’s war has many other facets, but all of them fall into two main areas of struggle: the political struggle and the military struggle. Together, these constitute the hammer and the anvil between which all adversaries are crushed. In this kind of conflict, no distinction is drawn between combatants and civilians. Instead all individuals living within the arena of conflict are regarded as weapons of war (hence the term, ‘people’s war’). This makes them all expendable in the waging of the war, in the same way as arms and ammunition are expendable in a conventional conflict. It also means that children are just as expendable as adults, and that there is no bar against using children either as combatants or as targets for attack. On the contrary, there is significant advantage in using children: as a combatant, a child may be more willing to take risks, while as a victim of violence the child has much greater value in subsequent propaganda and mobilisation. In South Africa, the political struggle took many forms: meetings, marches, boycotts, sanctions, stayaways, and strikes. But the most persistent element in the political struggle was the propaganda campaign. This involved the constant repetition of certain themes by the ANC, the allied organisations it helped to create, and many in the media. This constant repetition, endorsed from a host of seemingly diverse quarters, soon had great impact on public perspectives. A false version of events became accepted as the truth, while contrary views were brushed aside as mistaken and uninformed. 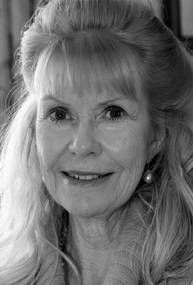 ​Dr Anthea Jeffery Jeffery holds law degrees from Wits and Cambridge, and a Ph D from London University. Since 1990, she has worked for the Institute of Race Relations (IRR), where she is Head of Policy Research. She is the author of ten books, including Business and Affirmative Action; The Truth about the Truth Commission; People’s War: New Light on the Struggle for South Africa; and Chasing the Rainbow: South Africa’s Move from Mandela to Zuma. The political struggle was vital because it reinforced the impression of a society in ferment. This gave cover to physical attacks which would otherwise have seemed too brutal to be condoned. Among the key targets for attack were black local councillors and black policemen living in the townships, for one of the aims of the people’s was to create a series of local anarchies. The objective here was to drive out local government, limit attempts at policing, and create semi-liberated areas under the control of street committees, civic associations, and people’s courts. Combat units, called self-defence units, were also formed to ‘defend’ these areas and bring the local population under further revolutionary control through a mix of agitation, coercion, and terror. As anarchy and violence spread, the economy stuttered, poverty grew, the security forces frequently resorted to draconian methods – and fresh grievances were created to spur on the ANC’s people’s war. The underlying aim at all times was not simply to rob the National Party (NP) government of its will to rule, but also to weaken or destroy the ANC’s black political rivals. This last was essential if the ANC was to gain hegemony over the new South Africa and then use its power to push forward with the second stage of its revolution. It also helps explain why the great majority of the victims of the people’s war were black rather than white South Africans. Whites were often the victims of the dozens of bomb blasts carried out by Umkhonto in the 1980s. They were also the target of Apla attacks in the early 1990s, including the St James’ Church massacre in Cape Town in July 1993. But most of the people killed were black South Africans; while the blacks most vulnerable to attack were those who supported the ANC’s black rivals in the Black Consciousness (BC) movement or Inkatha. By the time the people’s war began, Inkatha’s claimed membership had risen to close on 1m. The ANC had tried to bring Inkatha under its control via a meeting in London in 1979 between Oliver Tambo and Prince Mangosuthu Buthelezi, but Inkatha had declined to subject itself to ANC authority. In 1980 the ANC declared Inkatha ‘an enemy of the people’ and thereafter its invective against it became increasingly sharp. Buthelezi was described as ‘a junior partner in Gestapo repression’ and ‘a snake that needs to be hit on the head’. By mid-1986 the number of Inkatha leaders and supporters shot or hacked or necklaced to death had risen to more than 100. By the end of 1989, the conflict between the UDF and Inkatha in KwaZulu-Natal had cost some 2 400 lives, Inkatha bearing the bulk of the fatalities. But this was overlooked in a flurry of accusations from the UDF and others that Buthelezi’s ‘impis and warlords’, helped by the police, were solely to blame for the violence. By this time, the overall death toll in the people’s war had reached around 5 500. But the Berlin Wall had also fallen, indicating that the Soviet Union was now in trouble and would be less able to keep supporting the ANC. The state president, F W de Klerk, seized the opportunity to unban the ANC and its allies and embark on what he hoped would be a peaceful process of negotiations for a new democracy. But the ANC had no intention of ending the people’s war when negotiations began. Rather it planned to use the talks as an ‘additional terrain’ of the multi-faceted political struggle. At the same time, it planned to intensify the military struggle as well. It also knew that it would be much easier to achieve an upsurge in mass action and political violence with some 13 000 of its armed and trained Umkhonto combatants back inside the country – this time by legal means and with the government’s consent. ​The ANC’s strategy, in short, was a variant on the Trojan Horse one. By professing a commitment to peace, the ANC could secure the lawful return of Umkhonto as part of the negotiating process. This would bypass the great difficulty the organisation had always faced in infiltrating its insurgents illegally in any significant number. Propaganda, as ever, was vital to conceal the truth. Hence, as Umkhonto combatants returned and violence began to surge, so the ANC and its supporters increasingly blamed the killings on a sinister Third Force, comprising elements within the police and the IFP. De Klerk was implicated too, for the constant accusation made was that the state president had a ‘dual strategy’ of talking peace while using the Third Force to wage a low-level war against the ANC. This propaganda campaign soon had huge impact. This was partly because the same message came from so many quarters: not only from the ANC and its many allied organisations, but also from journalists and monitors of violence who seemed to be politically independent yet consistently endorsed the ANC’s perspective. Much of the impact came from Nelson Mandela’s repeated allegations that De Klerk was ‘fuelling the killing of innocent people’, with Buthelezi as his willing surrogate. Given his iconic status, Mandela’s accusations gave enormous credibility to the Third-Force theory. In March 1993 six children of known IFP supporters on their way to school in the Table Mountain area were killed when gunmen ambushed their bakkie, forced it a halt, and then sprayed it with AK-47 rifle fire for some ten minutes. ​In 1993 Buthelezi told the press that close on 300 IFP leaders and many more IFP supporters had been killed since 1985. He queried why this death toll was ‘of no consequence’ to the media and the broader society. He also asked how negotiations could proceed or a fair election could be held when ‘people were being shot for belonging to the wrong political party’. He repeatedly demanded that De Klerk disband Umkhonto and strip it of its weapons. But both De Klerk and Buthelezi had been so demonised for their alleged role in the Third-Force violence supposedly to blame for all the killings that De Klerk was reluctant to take such steps. Buthelezi withdrew from negotiations in protest and was dismissed as nothing but a ‘spoiler’. As Buthelezi had noted, the continual attacks on the IFP were given so little media attention that most quickly faded from public memory. By contrast, when IFP anger at the onslaught against it boiled over, prompting major retaliatory attacks, media coverage was huge and condemnation widespread. This was particularly evident as regards the notorious Boipatong massacre on the Reef in June 1992. Here, IFP supporters from the KwaMadala Hostel launched a night attack on the residents of Boipatong in which some 45 people were killed. The attack was carried out in revenge for the necklacing of three IFP supporters shortly beforehand, and a string of earlier attacks on those living in KwaMadala – almost all of whom were refugees from ANC violence. However, most people had little knowledge of the earlier assaults on the IFP, while the 45 deaths at IFP hands drew world-wide condemnation. This condemnation grew still further when the ANC falsely claimed that the police had aided the IFP assailants in a classic ‘Third-Force’ operation. 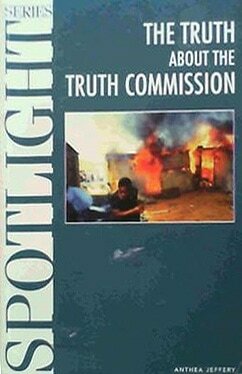 The Boipatong massacre was a huge propaganda victory for the ANC. So too were various other massacres on the Reef for which the IFP was widely blamed, despite a lack of proof. Two examples here must suffice. The first was a train attack in Johannesburg in September 1990, which was carried out by two groups of unidentified attackers armed with guns and pangas. One group boarded a train at the Jeppe station during the evening rush hour and then began hacking and shooting at passengers. Terrified people tried to escape by scrambling off the train at its next stop at the Denver station. But the second group was already waiting on the platform there and attacked them as they tried to flee. In all, 26 people were killed and a hundred were injured. No one could identify the attackers – but the IFP was widely blamed by the ANC and others. Three years later, in September 1993, there was a massacre in Wadeville (Germiston), which was also carried out by two groups of attackers. The first group of about six men suddenly opened fire with handguns on commuters queuing for taxis to take them home in the early evening. As the gunfire cracked out, six people were shot dead and the commuters fled down the street with the gunmen close behind them and firing all the way. When they reached the first cross road, the commuters dived behind a sheltering wall and cowered there in a frantic bid to escape the gunmen chasing them. But they found no sanctuary there. For the second and larger group of gunmen had already taken up position in this cross road, and the people behind the wall were now within easy range of their AK-47 rifles. As the Sunday Times put it: ‘The commuters ran headlong into a killing zone under the muzzles of the second group.’ This time, 25 people were killed in the massacre and another 25 were injured. Again, no one knew who had carried out this attack, but the ANC immediately blamed the IFP and so too did many in the media, prompting further fury at Inkatha. If the IFP was not in fact to blame for these massacres, who then might have carried them out? Some of the Umkhonto operatives back inside the country clearly had the necessary arms and training to do so. The ANC was also intent on discrediting and weakening the IFP, ​and was engaged in a people’s war in which civilians were regarded as ‘expendable’. In addition, the ANC was the only organisation which drew advantage from these killings, which further demonised the IFP and brought the ANC other gains. However, such is the power of ANC propaganda that the accusation against Inkatha seems readily acceptable whereas most people would consider it unthinkable to blame the ANC. The international community turned a blind eye to the ANC’s continued people’s war in this negotiations period. Instead, it put huge pressure on De Klerk to meet the ANC’s demands, while criticising Buthelezi for his ‘brinkmanship’. As the April 1994 election approached, the ANC accused Buthelezi of seeking to ‘rise to power on the corpses of black people’ and the IFP of wanting to ‘drown democracy in blood’. By the time the deeply flawed election took place, the IFP had become the equivalent, as one commentator put it, of ‘the Jew in Nazi Germany’. In addition, the PAC and Azapo had been neutralised, the National Party and the Democratic Party had been barred from canvassing in black areas, and De Klerk had been thoroughly discredited. The 1994 election was so chaotic that no accurate result could be computed. Hence, its final outcome was essentially the product of negotiation. The ANC was accorded 63% of the vote, but this might have exaggerated its true support. Opposition parties initially wanted to challenge aspects of the election result, but in the end they chose rather to accept it. For to question the outcome or demand a re-run of the poll was to risk throwing the country into the vortex of the people’s war once more – and few people had the stomach for that. Most South Africans preferred to take comfort in the notion of a miracle transition and to hope that this would bring about the bright new future the ANC had long been promising. By the time of the April poll, the death toll in political violence since September 1984 had risen to some 20 500. About 5 500 of these deaths, as earlier noted, had taken place in the first five years of the people’s war, from 1984 to 1989. However, the great majority of these fatalities, numbering some 15 000, or three times as many, had taken place in the negotiations period from 1990 to 1994. This tripling of the death toll, in short, had taken place when the government’s determination to end apartheid and usher in a non-racial democracy was clearly apparent and evidently endorsed by two thirds of whites. Some of the dead were policemen or local councillors. Some were members of Azapo or the PAC. Many were ANC supporters, while many more were supporters of the IFP. Almost all of the victims were black. The great majority were ordinary people with no strong political conviction, no particular political involvement. They had nevertheless all been treated as expendable weapons in the people’s war, as pawns in a power-game – a struggle for ANC hegemony over the new South Africa.